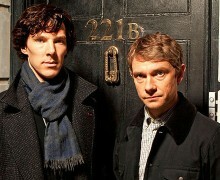 When does «Sherlock Holmes 3» come out? Release date coming? What known about next part? In 2011 magnificent Guy Ritchie presented his movie «Sherlock Holmes: A Game of Shadows», which turned out to be very successful. Film grossed more than 500 million dollars, which most probably would lead to the production of the third part of the story. 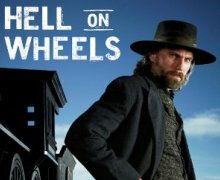 There is no doubt that the filming is in process, since Drew Pearce was announced to be hired by Warner Bros. Company as a new script writer. He is also working on «Iron Man 3» movie, which means that his work in a sphere of comics scenarios is perfect. Since the third part of «Iron Man» movie has already been presented, now the creators can focus on the production of the new story about famous detective. Guy Ritchie notes that work on «Sherlock Holmes 3» movie brings him a great pleasure. The release date hasn’t been announced yet, but most probably it will be presented in 2017 (no date yet). You can share your information about the forthcoming premiere as well as leave your opinions in comments. UPDATE 1 (October 30, 2014): Susan Downey stated that a third film was in development. UPDATE 2 (May 19, 2016): Sherlock Holmes is about to shoot at the end of 2016. Release date – TBA. Follow the updates! I’ve been waiting impatiently to see the third sherlock Holmes I’ am the biggest fan of Mr and Mrs downy . I have been waiting for it. . .Previous two were masterpieces.